Sweet Revenge was originally shipped out as Dandy, the All-American Girl. 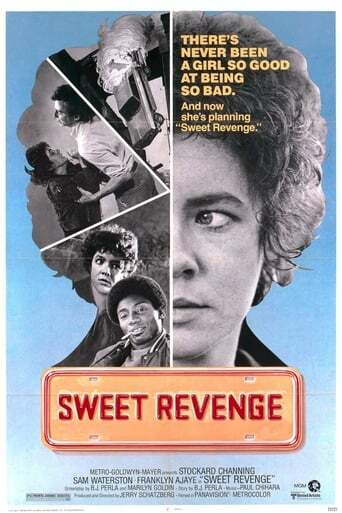 The multitalented Stockard Channing plays a car thief with a penchant for elaborate disguises. She hopes to trade in her stolen goods and purchase a snazzy sports model for herself. Sam Waterston costars as a public defender who, much against his will, falls in love with the charming thief. Producer/director Jerry Schatzberg seems so certain of Channing's considerable talents that he feels a coherent story is unecessary.